This month brings many special springtime activities for all ages and budgets, including camping, hiking, golf, fishing, dinner theaters and vacation getaways. With warmer weather here, April is a great time to get back outside, and there’s no place better than West Virginia State Parks. This month brings many special springtime activities for all ages and budgets, including camping, hiking, golf, fishing, dinner theaters and vacation getaways. State parks are a great place for families to celebrate Easter weekend April 6-8. Visitors can enjoy egg hunts, games and great food at parks restaurants. Overnight lodging adds to the fun. State parks that have scheduled Easter weekend activities include Canaan Valley Resort, Cacapon Resort, Pipestem Resort, Blackwater Falls, Tomlinson Run, Twin Falls, Berkeley Springs, Hawks Nest and North Bend. Check the Events Calendar for activity details at the individual parks. No Foolin’ State Parks Gift Cards! Buy a gift card in April and receive one $10 off campsite rental voucher for every $100 gift card purchased. If you are looking for a gift to hint for a getaway, encourage a family member to take a vacation, schedule a golf trip or enjoy a great dinner at a state park restaurant – this is the gift card to give. West Virginia State Park gift cards are good to purchase lodging, meals, packages,and services, and they are honored at all West Virginia State Parks and Forests. Seven campgrounds that accept the No Foolin’ camping voucher are Pipestem Resort, Moncove Lake, Blackwater Falls, Greenbrier State Forest, Twin Falls Resort, Kanawha State State Forest, Tygart Lake, Watoga state parks. To receive the camping voucher, purchase state parks gift cards online or call 304-558-2764 and ask for Carol Stewart. West Virginia’s state parks and forests have more than 25 campgrounds that range from full hookup to primitive sites. There are 1,881 total sites in the state park system. Most parks and forests have sites that are reservable and also have sites that are available first-come, first-served. Exceptions are Canaan Valley and Stonewall resorts, where all sites require reservations. New this year, Little Beaver State Park in Raleigh County opens with a 46-site campground with 12 sites that are reservable. All sites at Little Beaver have water hookups and 30 of those sites include electric hookups as well. The West Virginia State Parks and Forests lists 19 areas that offer reservable campsites. Sites are reservable from the Friday prior to Memorial Day Weekend through Labor Day. Sites may be reserved by mail, phone, or in person beginning April 1. Reservation forms may be downloaded from the State Parks website or can be obtained by calling the Charleston office at 304-558-2764 or by calling the specific park and requesting that a form be mailed. Each area has a specific form that reflects rates and reservation information. More than 800 miles of hiking, biking and running trails are maintained within the state park system. Whether it is the view from Cranny Crow at Lost River in Hardy County, the Woodpecker Trail at Chief Logan, or Potato Knob Trail at Holly River in Webster County, every step rewards hikers with lush vegetation, history or scenery. Two rail trails are railroad grades now maintained as multi-purpose trails for hiking, bicycling and equestrian travel. The North Bend trail is 72 miles long and features 13 tunnels and 36 bridges. The Greenbrier River Trail is 78 miles long and is close to Greenbrier and Seneca state forests, Watoga, Droop Mountain Battlefield and Cass Scenic Railroad state parks. Golfers of every proficiency can find a challenge at five championship courses at Cacapon, Canaan Valley, Pipestem, Stonewall and Twin Falls resorts. These parks offer 18-hole courses and overnight packages at their year-round lodges and pro shops. Affordable golf packages are available at North Bend and Tygart Lake in partnership with area courses. The West Virginia Division of Natural Resources’ fishing programs includes cold and warm water fisheries, management, trout and catfish stocking programs and, most importantly, an opportunity to go fishing, including at many state parks. Trout stocking is underway through the end of May. Fishing packages are available at Pipestem Resort, North Bend State Park and Greenbrier State Forest, among others. Streams, ponds, rivers and lakes open to the public have species such as channel catfish, walleye, trout and bass. Don’t forget to buy a fishing license, and kids 14 and younger fish for free. More information can be found at http://www.wvdnr.gov or in the West Virginia Fishing Regulations pamphlet. Equestrian enthusiasts will enjoy Camp Creek State Park with the Double C – Horse and Rider Campground. Bring your horse. Beartown State Park is a wonderful day-use park and is close to Droop Mountain and Watoga state parks. Twin Falls has expanded its lodge from 20 to 48 rooms to complement its golf course, hiking trails, Pioneer Farm and cabins, and it continues as one of the best getaway opportunities in West Virginia. 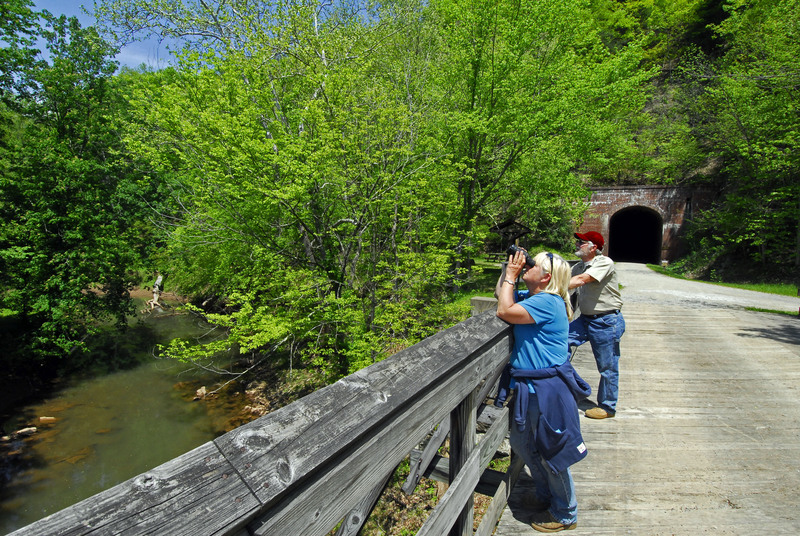 From bird and eagle watching, to observing white-tailed deer, turkey, chipmunks and squirrels in their natural habitat, to the West Virginia Wildlife Center in French Creek, the state abounds with wildlife for viewing. 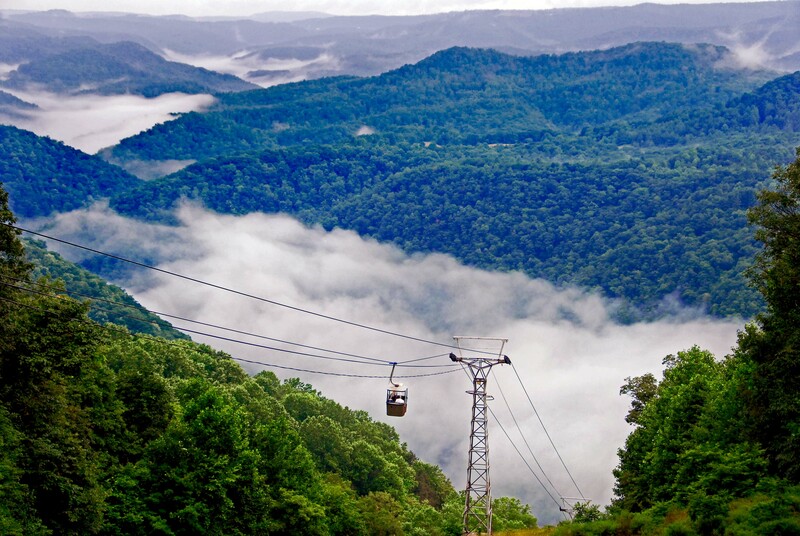 Stay in touch with West Virginia and the great outdoors. RSS feeds are available for West Virginia State Parks events, trout stocking reports, and news releases. Sign up here or become a Facebook fan – WV Commerce – State Parks.